Looking for a refreshing way to style summer’s favorite all-white look? Then, take a cue from Reese Witherspoon. The actress just flaunted her own interpretation of white-washed dressing last Friday while heading to a business meeting in Santa Monica, California. For the outing, Reese chose a sleeveless white cropped top and a matching high-waist skater skirt, both of which were detailed with cutouts at the hem. She complemented the outfit with cat-eye sunnies, red-orange lipstick, and a structured handbag painted in the same tangerine hue. 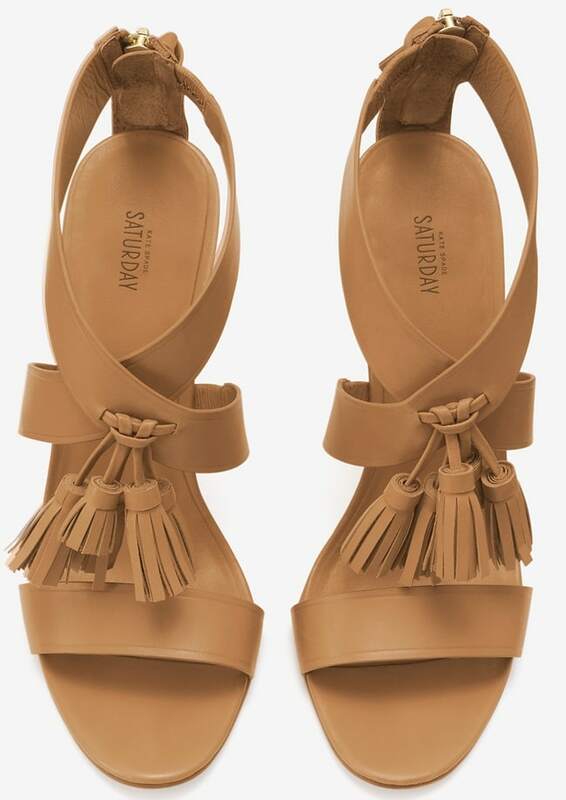 Pulling the pieces together was a pair of tassel-trimmed sandals in camel brown. We’ve seen countless celebrities in little and long white dresses, and this getup from Reese takes the cake for originality. It goes without saying that she looks completely chic and fantastic in the whole mix, thanks to well-appointed add-ons. Her sunglasses are from Tory Burch. They’re called the “Panama”. You can score a similar pair in gray over at Amazon. Reese’s matching top and skirt are from Lovers + Friends. Sadly, the skirt is sold out online, but you can still score the top at Shopbop. Both pieces are crafted in lightweight faux leather. The actress’ bright orange colorblock purse is from Maiyet. Her ‘Saturday’ tassel heels are from Kate Spade and have already sold out online. These leather sandals feature a single band at the front of each shoe and flattering crisscross straps at the ankles. What obviously makes these strappies unique is the tassel detail decorating the center. Also adding to the unique flavor are cone-shaped stacked wooden heels that are 4.25 inches tall.